The Northern Irish jobs market is complicated. Last month it was announced that the employment rate hit a record level. However, this new height might prove to be a crest and the short- and medium-term future could be less encouraging. Even those high employment rates, and low unemployment, come with significant caveats. We live in the era of zero-hours contracts – otherwise known as the era of underemployment – and NI still has a very high rate of economic inactivity. Often political discourse, when talking about improving this picture, talks about business investment, the creation of opportunities for individual people and extra listings in JobFinder. There is another side to this: improving the employability of local people. Better qualifications, better experience, more skills and, also, wider considerations that are social, pastoral or related to people’s health. This increases the work capacity of our population which improves the lot of businesses already here (and encourages more investment). However, looking at this in purely economic terms undersells what is going on. Upskilling, boosting people’s preparedness for work, increasing their mental health – all these things improve the lives of local people directly. These are de facto good things, beyond any simple rise in economic statistics. A number of initiatives exist in Northern Ireland to improve people’s employability. There is a problem, however. Scope wrote recently about how these are heavily funded by the European Social Fund and there is, as yet, no firm plans about a replacement for when we leave the European Union – other than a suggested name and some hand-waving semi commitments. The Department for the Economy (DfE) responded to several questions about how this would affect organisations in NI, and the people who rely on their services. Ongoing projects will receive funding committed to them in the current spending period - some projects are due to end in March 2022, some in March 2023. DfE added: “The UKG has proposed the development of a UK-wide Shared Prosperity Fund (SPF) as a replacement. The Ministry of Housing, Communities & Local Government (MHCLG) and the Department for Business, Energy & Industrial Strategy (BEIS) are in the lead in developing this instrument and they held local stakeholder events in Northern Ireland on the SPF in November 2018 and January 2019 with full public consultation planned for early 2019. If we are going to have an SPF, what should it look like? Start360 provides a wide range of support services to young people, including those who are NEET (Not in Education, Employment or Training), adult offenders and their families in Northern Ireland. One of its initiatives is Switch onto Employment (SOE), which is currently funded by ESF. Scope asked the organisation how much they rely on the ESF as a funding stream and, therefore, how important it is to their service users. 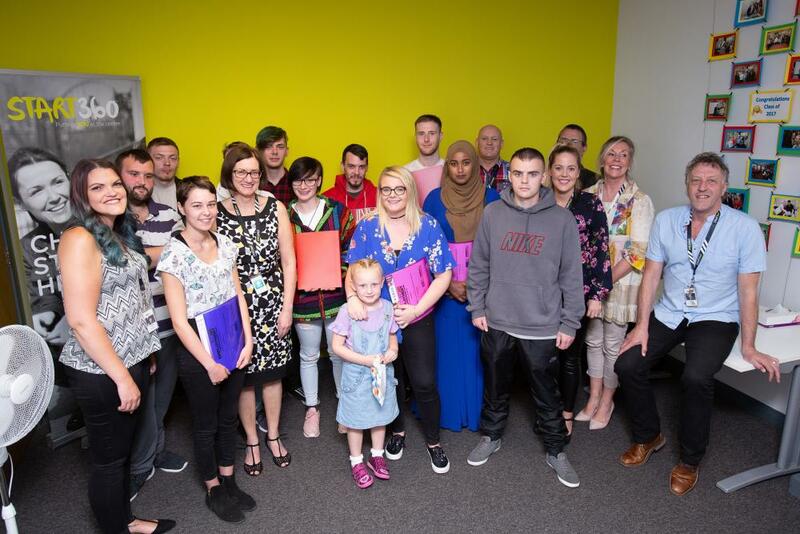 Stephen Barr, Service Manager at Start360, said: “ESF is one of a number of funders of Start360 and as such the organisations as whole does not rely on the funding stream – however our SOE service and, most importantly the young people who benefit from it, rely on it 100%. Asked what they would like to see from any replacement to ESF, Mr Barr continued: “We think the proposed UKSPF is vital in continuing the important work funded by ESF – we would like to see nothing less than what is already provided and, potentially, more funding being provided to promote social inclusion, alternative forms of education and ETE [Education, Training and Employment] provision for our most vulnerable young people. To fully appreciate the value of ESF, it is worth taking a look at what it supports in some detail. Switch onto Employment is an intensive 26-week pre-entry programme designed to support NEET participants aged 16-24 and tries to reduce barriers to employment. Amongst other things, it helps young people improve their numeracy and literacy (including allowing them to take part in an Arvon creative writing course). Start360 supplied us with an anonymous case study outlining one young person’s experience in detail – including how she had been asked to leave a group within a different organisation, while working towards literacy essential skills and OCN qualifications in ICT, Employability and Personal Development, had ongoing mental health issues and was frequently self harming. Her early involvement with the scheme proved difficult and she was timetabled into more one-to-one support. “When joining the programme she was homeless and was staying with different friends, she was feeling suicidal, consuming a lot of alcohol and was unsure of what she wanted in the future. The team at SOE along with her 16+ Transition worker worked with the participant to put actions in place to help her work on these areas. “Nearing the end of her engagement with SOE the participant began to look at progression pathways. Through her work in her qualifications she had highlighted that she would be interested in a career helping people. She had been volunteering at a local soup kitchen and this had shown her that she had the skills and desire to build a career in this area. This illustrates that the starting point for people who rely on employability schemes can be immensely challenging, that the positive outcomes for individuals (and, also, for society) can be truly transformative. It also shows that any significant watering down of projects like this might make them ineffective. As things stand, the replacement for ESF is little more than a name. Employability schemes are vital for helping individuals facing a wide range of challenges and barriers. They need continuing investment and support.